Have I got a treat for you this week! I just finished sitting down with Mr. Fit and 50 himself, Laurence Codd. For those who don’t know, Laurence is the man when it comes to real-world practical information for staying in shape past your 20s, 30s and even 40s. In fact, Laurence got his start in fitness fairly late in life when his 5th decade was just on the horizon. So while most folks consider their 40s to be “past their prime” Laurence was just getting started and aiming to make some big changes in his health and fitness. Not only did he get in shape, but Laurence achieved a physique that most guys struggle to achieve even at half his age. He is proof that you can make incredible things happen even if you’re getting started decades after everyone else. His attitude and methods are both inspiring and practical for anyone to follow. I sure took away a ton of great tips from our interview and can’t wait to share them with you. Laurence’s unique method of timed workouts and how they help keep him ripped. 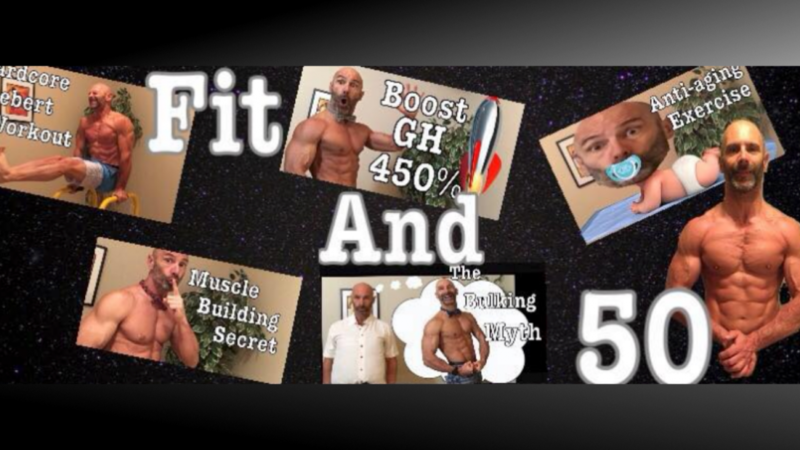 How he had to change his diet as his fitness improved. A few of the biggest obstacles he’s had to overcome to reach his goals. How his fitness has been a great benefit, not only for him but also his family. You can also find out more about Laurence through his Facebook page, Youtube channel and contact him through email at 1shark1bite@gmail.com.